Soprano Suzie Juul joins Really Spicy Opera for its Spring 2017 tour, playing Melisandre in Game of Thrones: The Musical and Cathy in The Last Five Years. Juul is an active singer, actor, and dancer in the Twin Cities area. 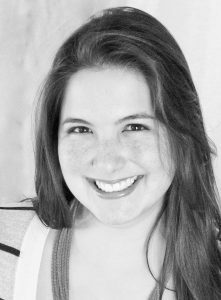 She has appeared onstage with Casting Spells Productions, Frank Theatre, the Minnesota Centennial Showboat, Mu Performing Arts, the Ordway, Park Square Theatre, Second Fiddle, Sheep Theatre, Skylark Opera, Theatre for the Thirsty, and Walking Shadow. Juul holds a BA in Theatre from Augsburg College and an AFA from Normandale Community College.